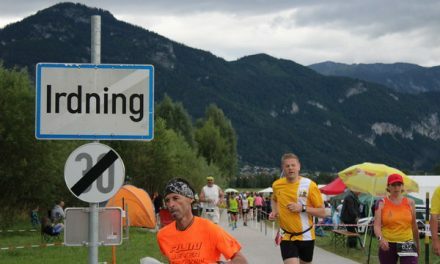 Most ultra runners probably don’t care much, nor do race organisers. The growth in our sport over the last decade has been on trail, people love to run trails, and race organisers love putting them on because they attract numbers and because of that they stand a fifty fifty chance of ending up with a dollar or two in their pocket. I’m different, I love running road, long road. Most trail runners will never understand the attraction, and to be honest, I have difficulty trying to explain it, but I know I love it. There’s a small minority of runners in our community who I think have the same weird fascination with the road, Annabel Hepworth being one. Annabel flies around the world seemingly at least monthly to find road or track events to run in. Annabel is good at road running, me not so much, but normally I manage a finish, and if its in the top half of the field (that’s the overall field, men and women, together), it’s been a good result. I too have travelled overseas to find road events, and this year have been to Malaysia and the USA to find longs runs on road. 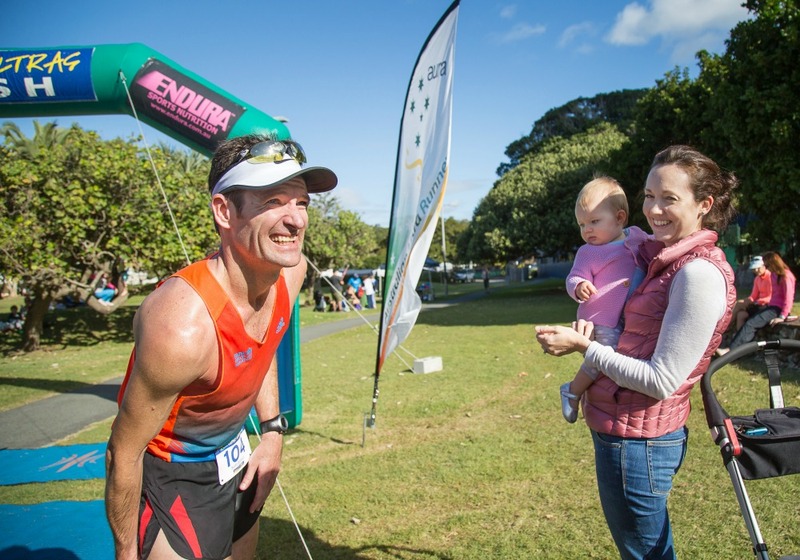 When I started ultra-running more than a decade ago, Kevin Cassidy, who is one of the founding fathers (and sisters) of our great sport used to organise a road run in Melbourne, called Frankston to Portsea, a run of 55km. In the years before Facebook I discovered this race on the Coolrunning website, and it was the first road race I aspired to run. Unfortunately, I never got there, in fact I thought the race had stopped because of issues with officialdom and I had missed my opportunity, but in some Coolrunnings research just now I saw the 43rd annual race was held in 2015, with five finishers. I think that’s brilliant… five guys over 55km. And Victoria has a long history of road races, probably the most famous being the Sydney to Melbourne race people my age remember watching on TV in the 1980’s. That stopped too. 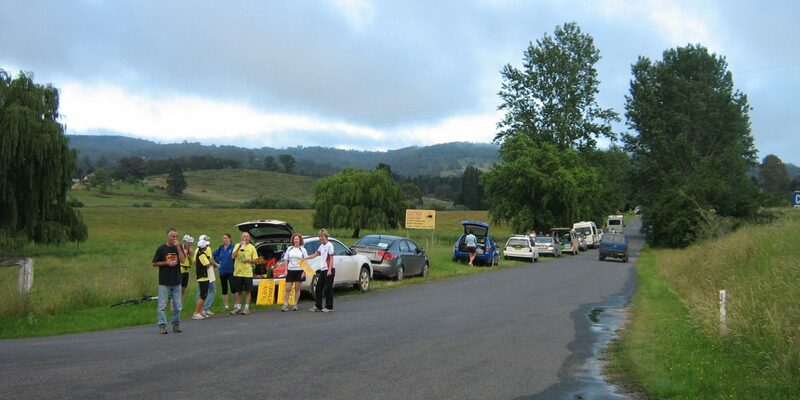 In 2008 I saw another race that had its own thread on Coolrunning, it was called Coast to Kosciuzko, and I sat transfixed in WA while I followed live updates from the 240km event from Eden to the summit of Kosciuzko in what I believe was one of, if not the most hairy editions weather wise, with the race being stopped at Charlotte Pass after gale force winds and torrential rain and hail. The guy I followed most closely was Brett Saxon, running his first attempt at the event. I read his race report, and it was that reason I became obsessed with someday running Kosci when I was up to that level of standard. In 2010 I had my first experience at the race, crewing for Finish (via New Zealand) runner Vesa Murto, being up on the summit at Midnight in what seemed cyclonic like winds and helping Vesa to a sub 45 hour finish. It gave me the taste for more and in 2013 I had my first shot at running it myself, managing an inclement weather finish at Charlotte’s. 2014 I crewed for great mate Mick Thwaites, the first appearance of Team Shmick. 2015 I ran again and managed a 38 hour and two seconds summit finish. 2016 was crewing for Shaun Kaesler and 2017 crewing again for Mick, this time accompanying him to the summit at sunrise as the winner of the race, some 19 hours earlier than in my first trip there with Vesa. People who have never had the chance to experience Kosci will never understand how special this race was / is. The sense of camaraderie / family is like nothing I have experienced elsewhere, and I have had the pleasure to visit a few pretty big races around the world. In my build up to eventually running Kosci I obviously needed to run some significant ultra distances, one problem was the longest ultra in WA at the time was the 64km 40 Miler held each Easter in the Perth Hills. Before tackling 240km I thought 100km would be a decent stepping stone and I mapped a road / rail trail course from Northam to Mundaring Weir. I was happy to run it myself, but somehow, I found eight others to join me in the first “fatass” unofficial version of the 100km Kep Ultra race as well as four in the 75km. The following year a few runners convinced me to try and get approvals from Government bodies and make it an official event. I remember emailing Dave Byrnes at Great North Walk and asking if I could steal his race documentation as I thought it looked pretty decent. Dave luckily agreed, and a quick search and replace from “Great North Walk” to “Kep Ultra”, and a few judicious edits and I had a document to present to the bureaucrats. In my online search of possible regulations I had found the WA draft regulations for events on road, that made mention of the dreaded term “road management plan”. I reviewed the requirements of a road management plan and soon realised it meant a lot of diagrams, a lot of signs, and a lot of trained marshals, something I could never setup for a 100km point to point race that may attract 20 runners. I knew my main stumbling point was going to be the crossing at Great Eastern Highway, a double carriage highway that connects Perth to the Eastern States, and carries all of the trucks that travel from one coast of Australia to the other. Because it was a major highway, it was controlled by the State Government’s Department of Main Roads rather than local government. With abated breath I called the public servant responsible for such a permit. I followed it up with an email explaining our situation, the reply was my worst nightmare “Any at grade crossing of Great Eastern Highway will require submission of a Traffic Management Plan. Typically this will involve a lane drop and speed reduction on GEH. The runners would cross by way of traffic controllers on GEH to stop traffic.” In other words we were going to cut two lanes down to one lane on both sides of the highway and have marshals stop traffic on one of the busiest roads in the State. So I installed my good mates Roy and Lui at the crossing for the first race to assist runners (but not stop traffic). They did this every year for me until the final race in 2015 and the crossing became an icon of the race. The Kep race ran through three local council areas, and in my application to these bodies when discussing traffic I would say something along the lines of “Department of Main Roads has approved the “traffic plan” which no-one ever questioned, never being aware the traffic plan was a two paragraph email. I used that original approval email for every subsequent edition of the race, all while race numbers grew to 100 runners, selected by lottery because far more people wanted to run the race than I had spots for. That is until 2015. That year the Shire of Northam had appointed a new Executive Manager of Development Services, and the new guy wanted to see the traffic management plan. No amount of emails or discussion could change his mind, the process said traffic management plan, no traffic management plan, no race. My cost for traffic management that year was $4,500 and that was with 15 volunteers working for 18 hours putting out and retrieving 226 separate sign placements. A conservative valuation of the volunteer labour was $10,000. It was unsustainable. On top of this one of the Government departments had at the last minute not been able to give me their approval because of “a bureaucratic oversight”. It meant that the Friday before the race after all that effort and cost with bloody traffic management I ended up with a race without approvals. If one approval doesn’t get across the line, they all fall over like dominoes. I remember calling Robert Boyce then president of AURA later that night to tell him my approvals were no longer, and that the AURA public liability insurance he had provided was now no longer valid. I was left with 100 runners from across Australia, and some from overseas who were showing up in Northam two days later, and I didn’t have approvals to proceed. I couldn’t let that happen and the race went ahead, all the while my house was on the line if anything happened and I was sued after the race. I had had enough, it was the last road race to take place in Western Australia. Scotty Hawker, Vlad Ixel and Mick Thwaites ran their first long ultras at Kep, it was a good thing for running, and a good thing for the community. In July this year I ran in a 500km road race across Tennessee called the Last Annual Vol State Road Race. The race offers no assistance, you start in a town called Hickman and you finish at Castle Rock. You run along major highways, there is no mandatory gear, no headlamp requirement, no fluro vest needed. In fact at night many of the runners purposely wear dark clothing, and no lights in what’s known as “stealth mode” that way they don’t get seen and hassled by the local troublemakers, or anyone else for that matter. Is there some danger? Obviously, but in the long history of the race Vol State has never had a serious incident. It is a great race, almost as good as Kosci. What struck me though as I ran the course for seven days was the juxtaposition between the 100 healthy fanatical runners taking part to the severely morbidly obese examples of human kind I found stuffing their face at the local fast food joints. You have to ask yourself, who is in the most danger? So it was with great sadness that last Wednesday evening I received a phone call from Paul Every, race director of Coast to Kosci. In a forlorn voice he told me it looked like he wasn’t able to get approvals this year for the race. The people he got approval from had changed, the process had changed, they needed a traffic management plan and there was no-way to prepare that in the time remaining let alone implement what it prescribed. Sound familiar? Kosci has been run for twelve years, without ever a major incident. Paul and his wife Dianne are meticulous with their planning and implementation of safety measures for the race. In no race have I ever been quizzed more often on my welfare by qualified medical personnel than in this race. Yes there is risk, but in my mind no more risk than if I was to ride my bike on those roads. But now it is gone, perhaps the last ever great Australian road race has been run. Paul and Dianne have been told by the authorities they can apply again next year, this time with a full traffic management plan. They are currently thinking about whether they do that. The reason is that traffic management plans are hugely onerous in their requirements. I am unaware of the exact NSW requirement, however in my chats with Michael Lovric who assisted Paul and Dianne in their discussions with Government re this year’s approvals he stated they are significantly serious in nature. In Western Australia a “Runner on road” sign is required every 800 metres, and at least eight signs at each intersection. If that is applied on the 220km of road at Kosci can you imagine the enormity of the task? Major incidents of injury or loss of life at events make Government instrumentalities very nervous. The Kimberley Ultra Marathon Bush Fire of 2011 had that effect in Western Australia. Government departments that had previously seemingly not cared much or not paid attention, were all of a sudden requiring all sorts of paper work, much of it in my mind unnecessary and unhelpful. One of these requirements led to their “bureaucratic oversight” that meant the end of my Kep race..
Has the death of cyclist Mike Hall on the Monaro Highway in 2017 during the unofficial, unapproved 5500km Indian Pacific Wheel Race made nearby local government bodies nervous? After all, the Monaro Highway is also used by Coast to Kosci runners, even if it is only for just a very small section. Coincidentally it is one of just two spots of the race you will find a marshal to help you cross the road safely. I don’t have an issue with local government now all of a sudden taking an interest, races should be held with safety measures in place, and there needs to be oversight. But the difference of no requirements at all, to the imposition of an enormously onerous traffic management plan are poles apart. What will happen is that events with quite reasonable safety measures in place such as Coast to Kosci are shut down, they will be replaced by events with no approvals, and no safety measures of any kind. We have all seen the online discussion of an unapproved Sydney to Melbourne event. That will give local authorities something seriously worth worrying about. Between the black and the white we currently have, there must be a grey area, where Government and race organisers can meet to define practical and implantable safety measures. My fear is the Government reaction will always be “but the policy says…” With that attitude we are at an impasse. 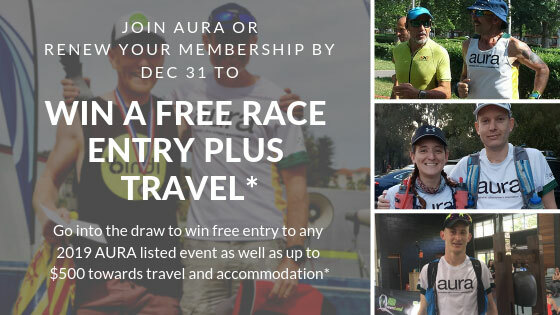 If there can be a meeting of minds between organisers of endurance road events and Government bodies, will there still be risk? Yes there will, running on roads is always going to involve risk, but in my mind far less risk than if races are shut down because of over burdensome requirements, and events with no safety measures at all take their place. As runners many of us accept the risks of our sport. I have told my wife Sue that if anything ever happens to me in a race not to blame anyone but myself, not the race organiser, not anyone. I know the risk I am taking, and I am willing to accept it and take responsibility for it. I think the time has come to finally find compromise, so the great Australian road race can continue. Will Government have the will to make it happen? A few days after Paul Every’s phone call I heard that Great North Walk was likely to be turned from the currently magnificent 100 mile point to point race to an out and back, all because of a council issue with a road section of the race. So the race I went to for safety documentation in 2010 gets pulled up also. Ironic.